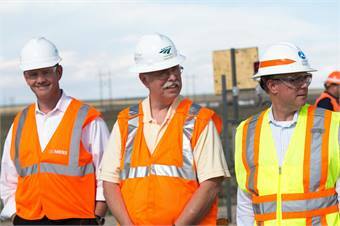 Amtrak President/CEO Joe Boardman, Federal Railroad Administrator Joseph Szabo and Siemens Rail Systems President Michael Cahill traveled to the U.S Department of Transportation (DOT) Transportation Technology Center (TTC) facility in Pueblo, Colo., to get an update on the testing program and to observe a testing demonstration. "These locomotives are the new workhorses of the Amtrak fleet in the Northeast and they must meet our performance-based specifications and reliability needs so we can keep the region's people and economy moving," said Boardman. "Safety is our number one priority," said Szabo. 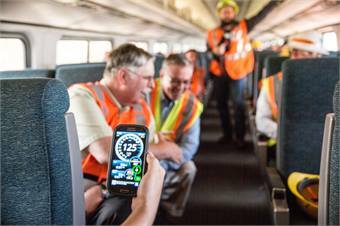 "Today's testing regime demonstrates the extraordinary safety standards FRA requires manufacturers and railroads to meet when building passenger rail equipment. One in seven Americans lives along the Northeast Corridor and as demand for passenger rail service continues to grow across the country, we will continue to ensure that rail equipment is safe, reliable and efficient." 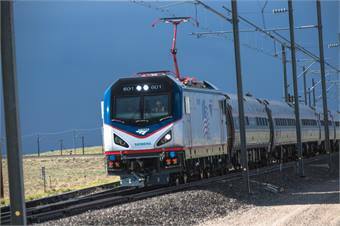 Amtrak selected Siemens to design and manufacture 70 next-generation, electric locomotives that will provide improved reliability, efficiency and mobility for intercity rail passengers traveling on the Northeast and Keystone Corridors. 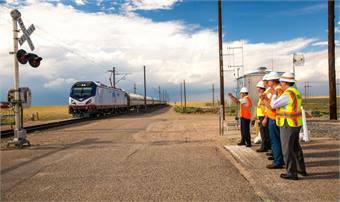 The new locomotives will replace existing locomotives in service for 25 to 35 years with an average of 3.5 million miles traveled. Using Siemens' innovative and proven rail technology, the Amtrak Cities Sprinter (ACS-64) locomotives are being assembled in Siemens' Sacramento, Calif., rail manufacturing plant powered by renewable energy, with parts built from its plants in Norwood, Ohio, Alpharetta, Ga., and Richland, Miss., and nearly 70 suppliers, representing more than 60 cities and 23 states. The first units being used in the testing program rolled off the assembly line in May. Michael Cahill, Joseph Boardman and Joseph Szabo.